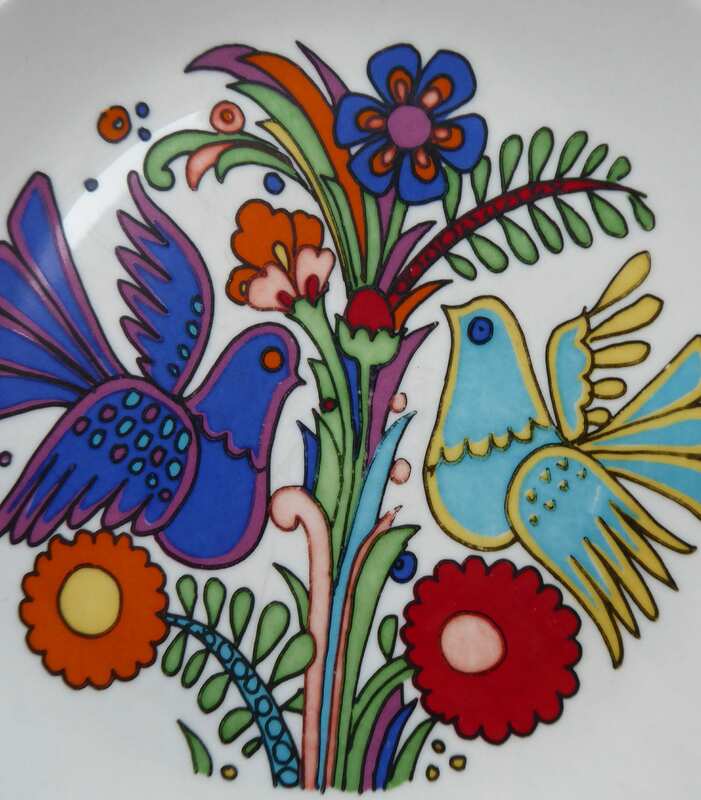 This listing here is for only ONE of charming little side plates shown in my photographs. I now have only two of these design left. 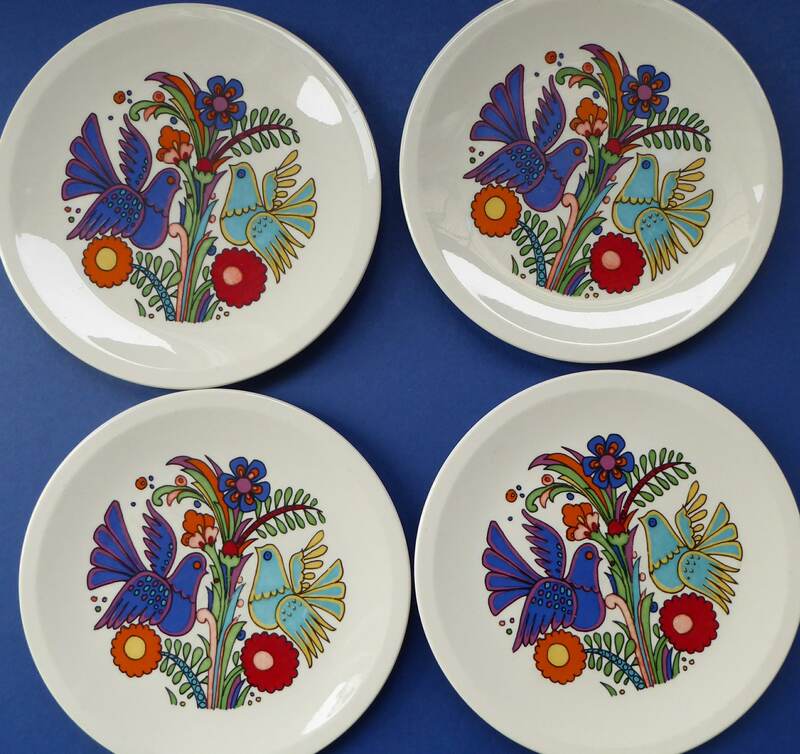 This is a nice side plate as the pattern is not confined here to around the border - but the whole of the surface is coved with the stylish Acapulco design. 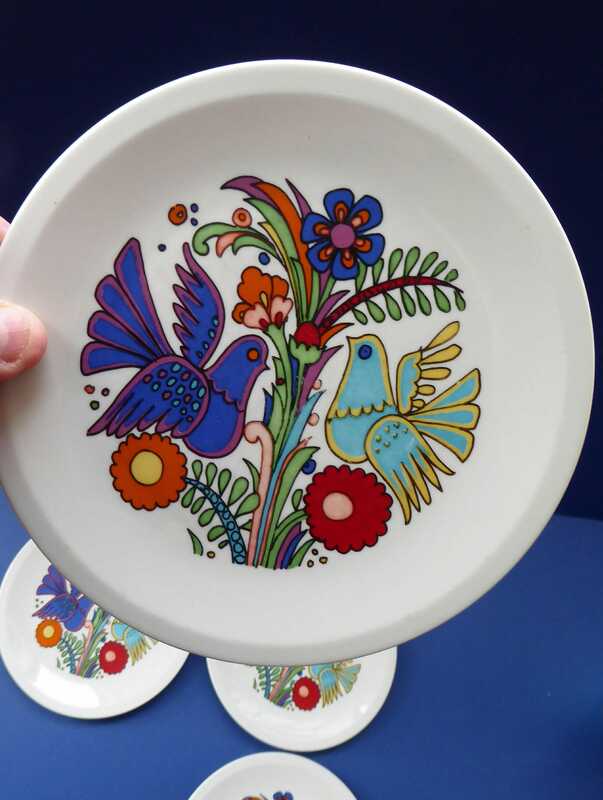 The pattern on these plates is certainly so attractive that you could also hang them on your wall for display. 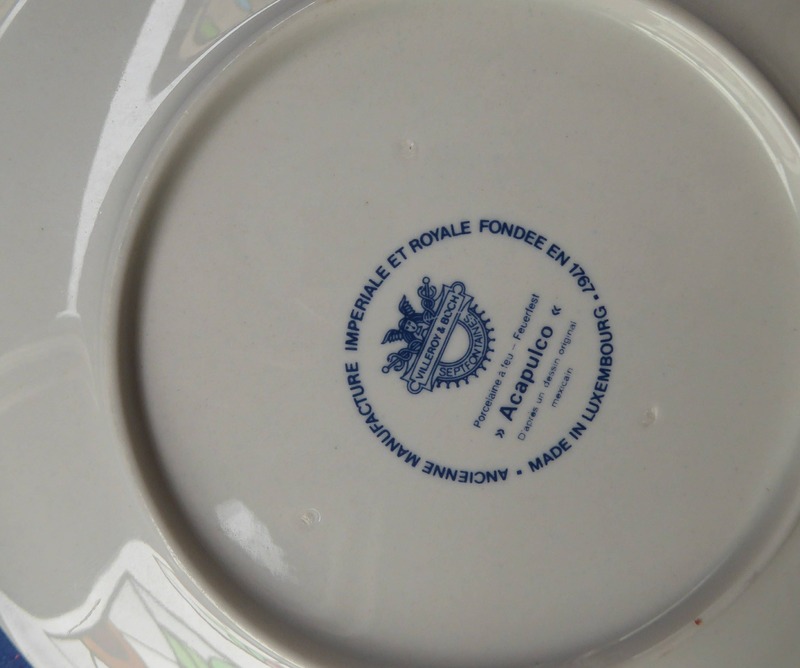 Each plate has a diameter of 6 1/4 inches. 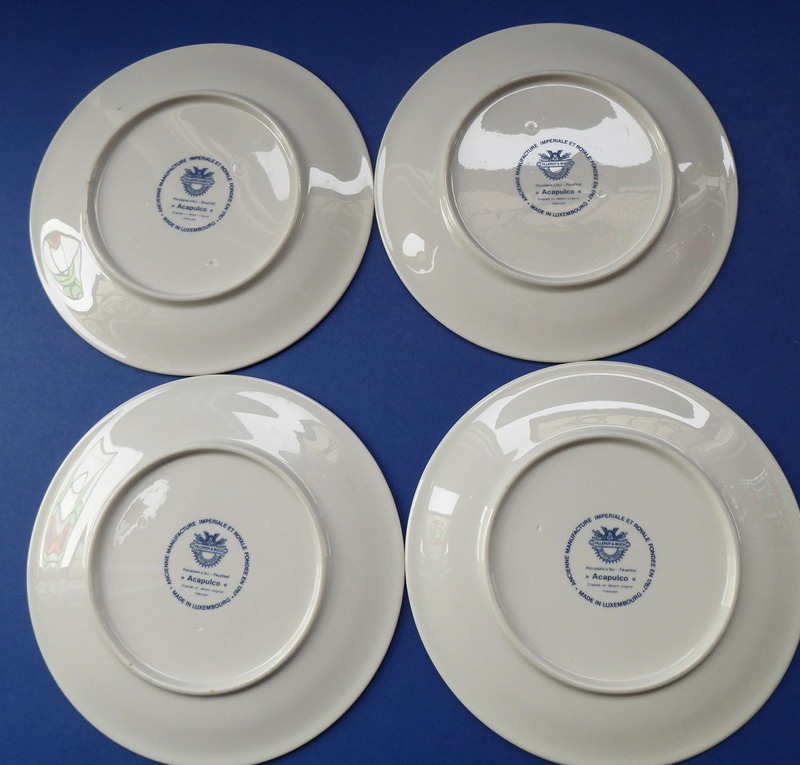 Good postal discounts apply here if you wish more than one plate.